The Derbyshire Schools Meal Service provides fresh meals each day. There is always a vegetarian alternative and specialist diets can be catered for by arrangement. Pupils who need help with eating are closely supervised and some have the assistance of an individual feeder. A charge of £10.50 for primary age pupils and £12.00 for secondary per week is made for school meals. Please send your child’s Dinner Money into school on a Monday morning in a named envelope. If you wish to pay half termly please send a cheque made payable to Derbyshire County Council. Alternatively pupils may bring a packed lunch from home. If you feel you may be eligible please contact our secretary or the Local Authority. If you feel that your child may be eligible for Free School Meals, please apply, even if you do not intend claiming the meals, as it will mean that the school receives additional funding through Pupil Premium payments from the government. 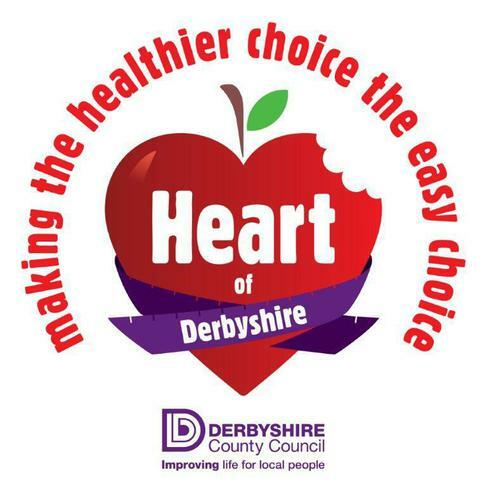 Derbyshire County Council launched their Heart of Derbyshire campaign last year to help people make healthy choices when eating out. The great news is that they are extending the scheme this September into schools whose meals are produced by our county catering team. 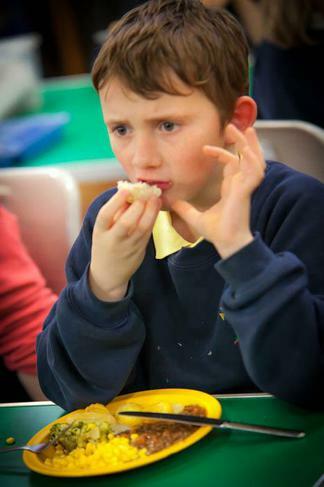 Schools will be offering reduced fat, salt and sugar dishes and more fruit, vegetables and wholegrain choices. It is important for everyone to eat healthily. Poor diet can contribute to obesity, high blood pressure, high cholesterol, type 2 diabetes, coronary heart disease, strokes, and cancer. The Derbyshire Catering Service has achieved the Heart of Derbyshire Gold award, which is an indication of their commitment to providing healthy options and catering for specific dietary requirements. This should reassure parents and carers that their children can make healthy choices. So what is the Heart of Derbyshire scheme about? Over 150 eateries – cafes, restaurants, and takeaways – across the county have signed up. They make a number of promises about the food they offer – from using less fat, salt or sugar to offering smaller portion sizes. So look out for eateries in your area displaying the Heart of Derbyshire certificates and window stickers. Alternatively visit www.derbyshire.gov.uk/heartofderbyshire where you can search for members by types of cuisine, the distance from your postcode or other criteria like places offering gluten free options. Another part of the campaign is FREE courses held regularly in our libraries and other community venues to help you cook your own tasty, balanced, and nutritious food on a budget – see the list on the website where there is also a section on ‘Portion Control’. This encourages everyone to be aware of how much they’re eating and then ask themselves if it’s the right amount or too much. It is not about stopping eating the foods you love – it is about eating the food you enjoy – but just eating less of it. Cutting down a bit can make a big difference to your weight and your overall health. There are portion control tips whether you’re shopping for food, eating in or dining out.